The River Sarca carves its way down the valley and following it back up from 600 metres to 1700 metres above sea level you encounter eighteen lovely villages whose welcome and hospitality are the prelude and gateway into this sublimely beautiful alpine landscape. 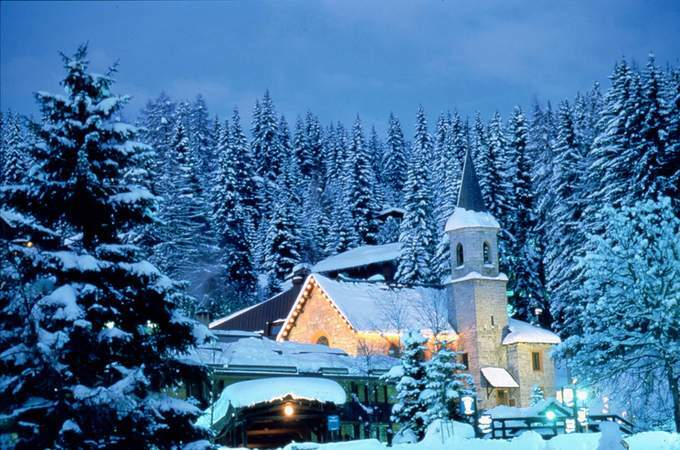 The history of Madonna di Campiglio is a consequence of its extraordinary alpine identity which has always fascinated travellers and famous figures, becoming the famous and fashionable destination it is today. In 1886 Franz Joseph Oesterreicher chose it as the holiday resort for the Habsburg family and the Empress Sissi. The beauty of the landscape and the abundant snowfalls characterize the seasons in this resort which is now a leading world winter resort for its spectacular ski runs and natural beauty. Ski Runs: the extension and variety of runs, their easy access with lifts leaving directly from the town centre, and the connection between the two sides of the valley to all the ski centres in the area make Madonna di Campiglio a real downhill skiing paradise. 60 Km of ski runs at all levels of difficulty, from the legendary Canalone Miramonti, where World Cup champions compete, to the other "black" runs like the renewed Spinale Direttissima and the Amazzonia, together with the "red" and "blue" slopes of intermediate steepness, to satisfy everyone. 70% of the runs also have snow cannons for reliable skiing right through the winter. Ski lifts and Schools: Madonna di Campiglio is distinguished by its fast and efficient state-of-the-art lift network. An advanced remote reading system for ski passes also allows the elimination of queues at the lifts. There are eight ski schools and more than 150 ski teachers who, in meticulous private and group lessons, lend their invaluable experience both for those taking their "first steps" on the snow and those who intend to, or already, take their skiing seriously. The careful selection of different types of teachers also means you can learn and practice the new emerging disciplines of snowboarding and carving at a high standard. Alternative paths: the Cross-Country Ski Centre routes wind their way among the glades and forests of Campo Carlo Magno Pass: 15 km of tracks of different types, suitable both for skating step and classic style. The same splendid environment is also the setting for other winter sports: relaxed excursions on snow-shoes to the quietest and most enchanting valleys, more adventurous ski-mountaineering trips, and even the unique experience of ice climbing for the most daring. And for those who just want a walk in the peace and silence of the woods, unencumbered with "equipment", there are specially prepared paths around Madonna di Campiglio. International Campiglio: the snows of Madonna di Campiglio form the unique scene each year for exceptional events, starting from the exhibition of classic sports car that compete in the famous winter regularity competition, the "Winter Marathon". Then the snow-white sets off the red of the international "Formula 1 Press Meeting", an appointment that brings together Ferrari team drivers and journalists from around the world. In February the magical Habsburg atmosphere from the end of the 1800s is evoked in the historical "Habsburg Carnival" which brings the Imperial Austrian Court back to the streets of the town centre, with the crowning moment of the costume torch-light procession on the Belvedere ski run. Après-ski ...: walking in the magical atmosphere of a snow storm, in the still pedestrian area of the centre: the most intimate and poetic way to continue the day after skiing the slopes. In this ambience shopping has a special significance. From the craft shops selling woodwork, chocolate, duvets, artistically decorated furniture and stoves, to rarities like papier machè used to create art works and jewellery: the goods on sale are unusual and imaginative. You can then take an aperitif in a fashionable bar followed by an exciting ride in a snow-cat up to a mountain hut for dinner, and round off the night in one of the famous discothèques. Pinzolo as a tourist resort was born in summer thanks to its middle height position, suitable for everybody. Very early, however, it also developed as a winter resort and has gradually become the ideal holiday resort for families in all seasons. Lying at the foot of different and wonderful mountains, in the lush green valley of Val Rendena, Pinzolo offers children lots of space to play and run. Adults too can enjoy pleasant walks in the historic centre of the village among the different squares following one another or along the evocative highstreet lined up with trees welcoming the tourist coming from the valley. 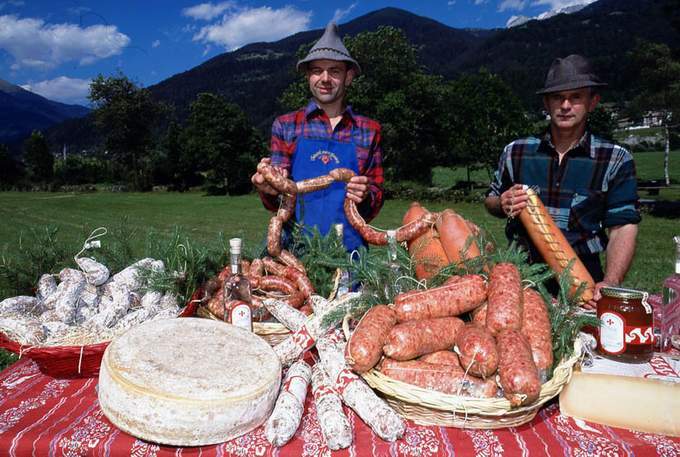 The pleasure of shopping becomes more interesting thanks to the wide choice of local products such as food specialities or craftsman products that distinguish Pinzolo shops. Ski runs: Pinzolo's outstanding features are its hospitality and landscape. From the summit of Doss del Sabion at 2100 metres in altitude, where the ski lifts arrive, the most beautiful mountains in Europe dominate the scene: the Brenta Dolomites and opposite them the perennial glaciers of the Adamello and Presanella range. The runs are a thrill for skiers of all levels and for those who want to ride on a single plank or try some spectacular jumps a well equipped snowpark is on hand. Wellness, in the sense of harmony of body and soul, finds its ideal context in Madonna di Campiglio. The candid winder environment provides a setting for rejuvenating walks and relaxation is completed inside the hotels with their unique locations and growing commitment to wellbeing. You can enjoy saunas, turkish baths, hydro massage and swimming pools, gymnasiums, relaxing massages, more exotic essence and hay baths, and even new treatments based on grapes and chocolate. Maximum attention to wellbeing emerges again in the refined and carefully prepared food and impeccable hospitality.